BBC "Top Gear" presenter Chris Harris had an annoying start for the week, as he was involved in a crash with his Porsche in Wales on Monday morning. As Harris tweeted later on, "Came around a corner yesterday to find a pick-up doing a 3 point turn broadside, in the middle of the road. Unavoidable. Just one of those things." Luckily, Harris and his passenger, said to be a Top Gear Magazine executive, escaped injury, as did the driver of the pickup. 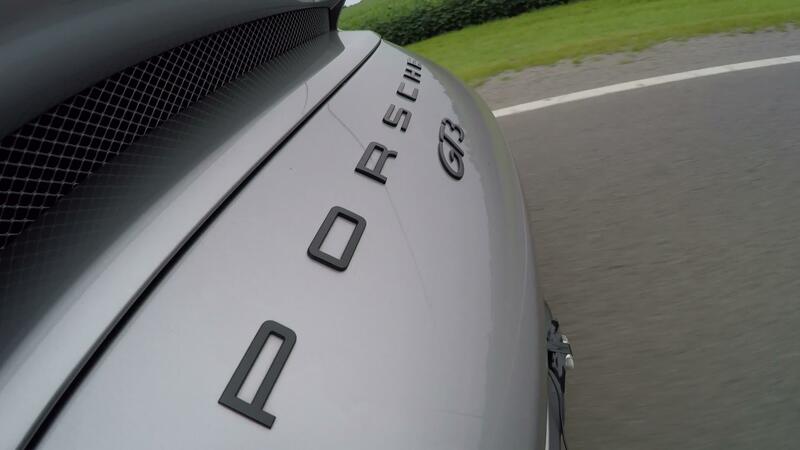 Harris added, "The Porsche 911 looked after us brilliantly. No one hurt, cars can be replaced." Harris also later said that speed wasn't a factor in the crash, and hinted that the police had ticketed the pickup driver, not him. From the photos released after the accident, one can surmise the Porsche was Harris' private 911 GT3 Touring, which perhaps makes things more miserable than if it had been a Porsche UK press car. Harris, who continues to present BBC "Top Gear" after Matt LeBlanc and Rory Reid stepped down from the primary presenter trio, has now had a couple of scares in the past year: in February, the Alpine A110 he was driving caught fire during filming in Monte Carlo. On that occasion, Harris was also uninjured, as was Eddie Jordan, his passenger. But like Harris said, cars can be replaced.